We live in a time where the time is itself bound by the smartness of life. The smartness in discussion is a gift of the every flourish evolution of the modern day digital technology. Nowadays everyone is using a mobile gadget and what more these are all smart gadgets that are powered by internet. It is no longer a device of communication or media but a miniature version of the whole universe. Such is the power of smart gadgets and to operate these one requires applications or apps. Bend on the will to revitalise the digital presence of the clients on smart network, ReqRes has ventured into the domain of app development. We are a company that doles out premium IT solutions and IT consultancies to our clients. 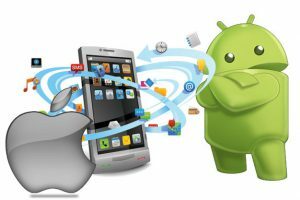 We are fully equipped with all app developing technologies and methodologies and also offer assistance to those who seek to recruitment of trained professionals for the purpose. Virtual reality and many more. Augmented reality and many more.